September 2nd marks the opening date for the “The Iceman Cometh” by playwright Eugene O’Neill. 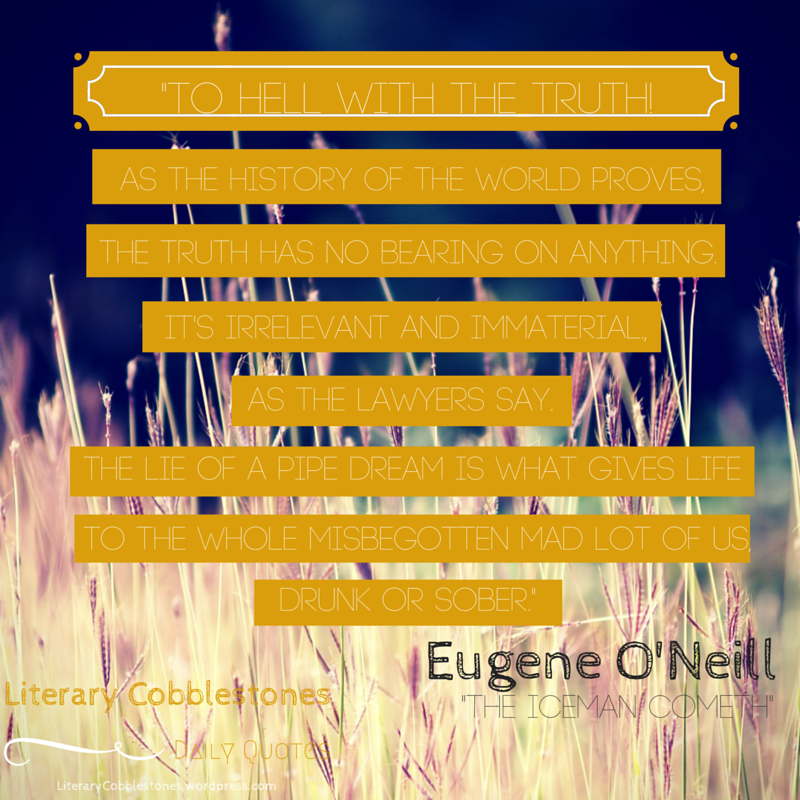 O’Neill won the Nobel Prize for Literature in 1936. A feature by John Lahr on the London Review of Books’ site: “I want to howl.” If you read nothing else, read this one! This may be the best line I’ve ever read: “If you were throwing a pity party among American playwrights, the antisocial, alcoholic, self-dramatizing misery named Eugene Gladstone O’Neill would win the door prize.” It’s not possible to read that line and not fall in love. Oh, the Wednesday has cometh, and will soon be gone. <-See what I did there?